My rates are available on request, and I generally have a two hour minimum. I can create around 15 drawings per hour in black and white, and 10 drawings per hour in color. If it is a small party, I can spend more time on each drawing. I require a 25% deposit to hold the date (usually through PayPal), and the remainder is due the day of the event (by cash, check, or credit card). I bring pretty much everything I need for the event. All I require from you is a couple of chairs and a small table, and a well-lighted area if possible. 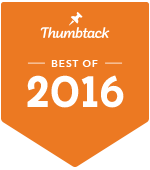 Thumbtack has put me in the Spotlight! Take a look!